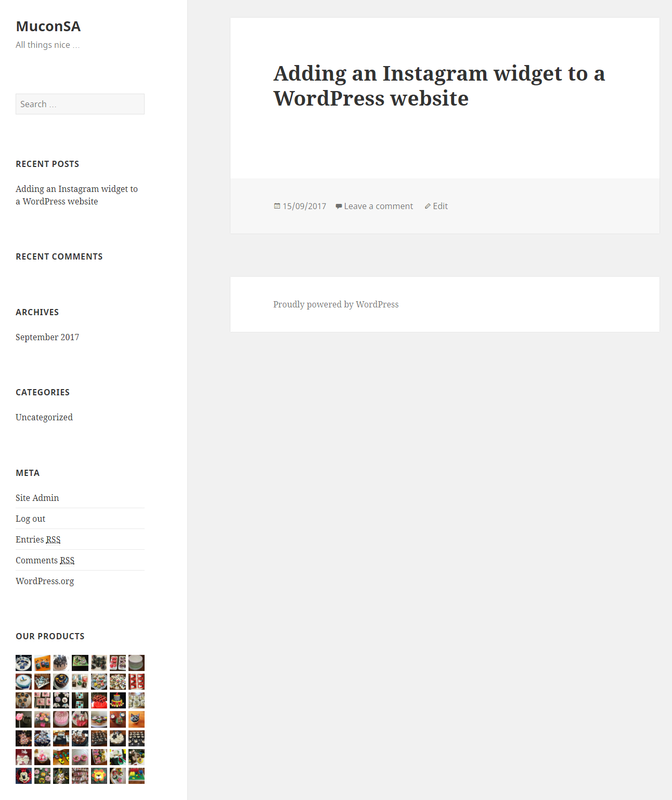 How do I add an Instagram widget to my WordPress website? 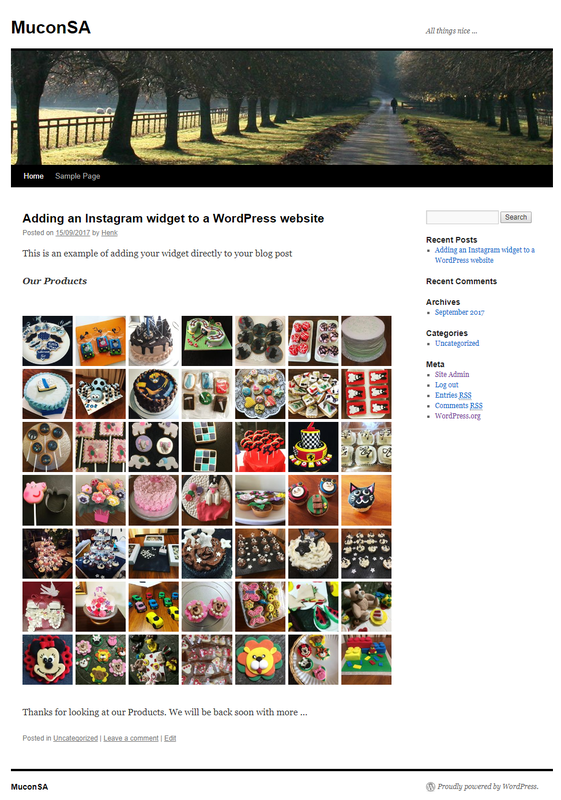 Update: You can now use our SnapWidget WP Instagram Widget to add an Instagram feed to your WordPress website. 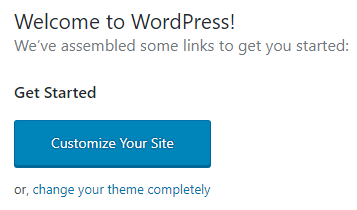 Note: This only applies to wordpress.org installations as wordpress.com does not support the use of iFrames. It also applies to WordPress installations done on self-hosted sites by means of e.g. Softaculous. 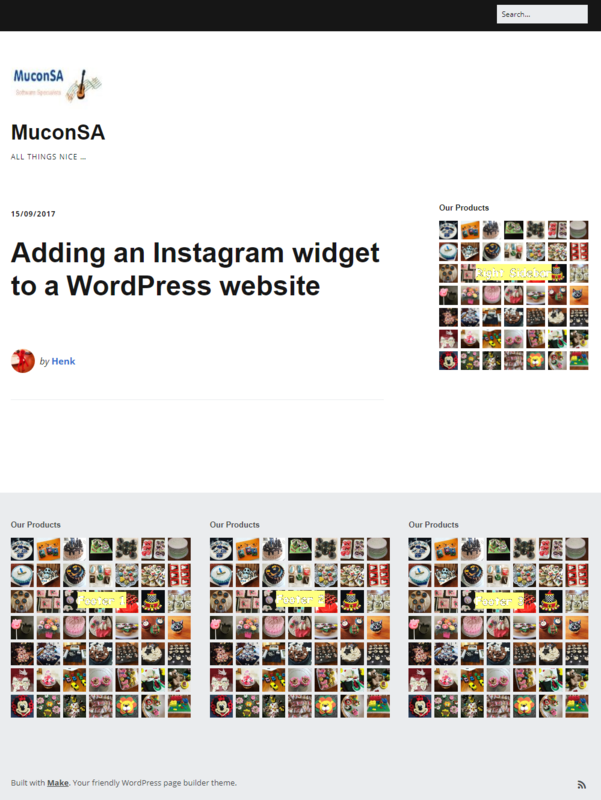 Adding your Instagram, Facebook or Twitter widget to your Wordpress blog is easy. Follow these steps to create your widget. Once you've created your widget, follow the appropriate steps below to add it to your blog. For this complete tutorial on the pre-defined widget area inclusion of the widget we will be using the Make theme. At the end of this tutorial we will indicate what widgets are available in the other mentioned themes. Log in to WordPress and go to your Dashboard. The current theme will be displayed under At a Glance. Click on Customize Your Site under Get Started. 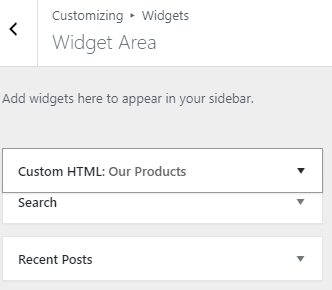 Click on Sidebars & Widgets. 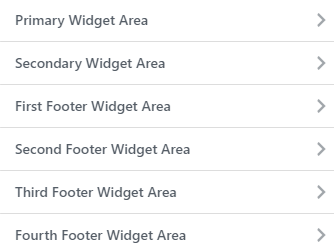 You will be presented with 4 Widget Areas where you can include your widget. Select Area to add snippet. 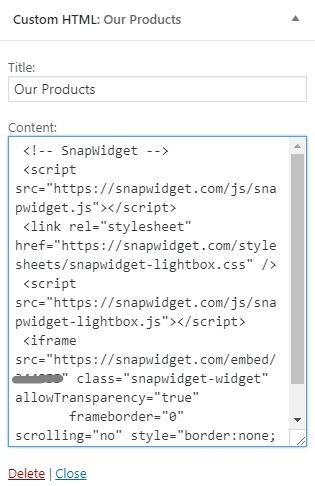 Add a Title and insert your snippet in the Content box. 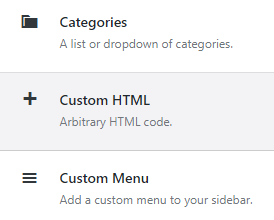 Looking at your website with the Make theme, these are the areas where your widget can be placed. 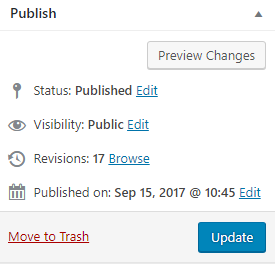 To save your widget and publish it to your website, click on Save & Publish. You will be presented with 6 Widget Areas where you can include your widget. Including you widget in any of these areas is the same as in the above Make theme example. 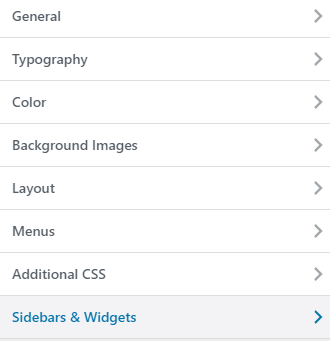 Looking at your website with the Twenty Ten theme, these are the areas where your widget can be placed. Theme Twenty Fifteen only allows adding your widget to the sidebar. Including your widget in this area is the same as in the above Make theme example. Your widget will be displayed as follows on the preview. You can move the widget to another slot in the sidebar by using the re-order option, e.g. move it to the top just above the Search option. Your widget will then be displayed as follows on the preview. This process is the same for any theme. 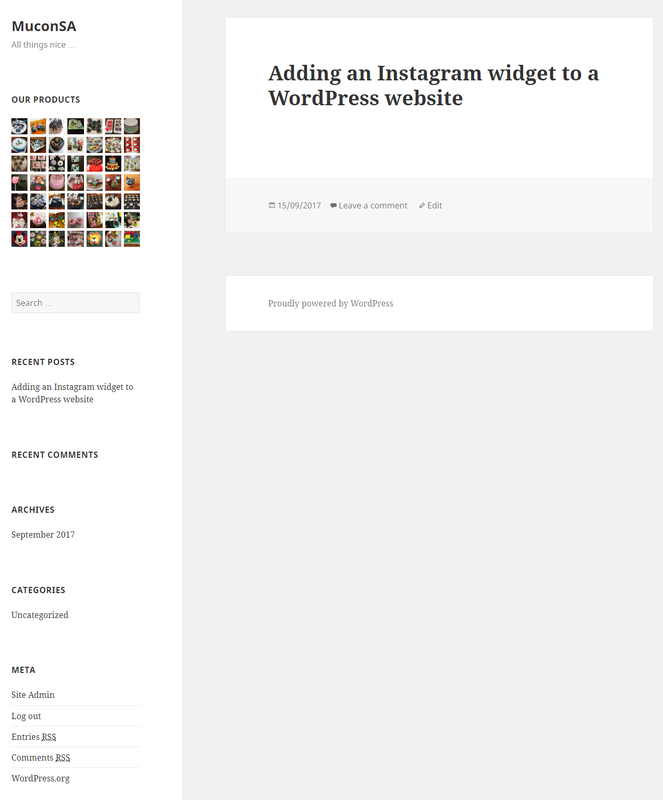 It allows you to place your widget anywhere in the blog post area. 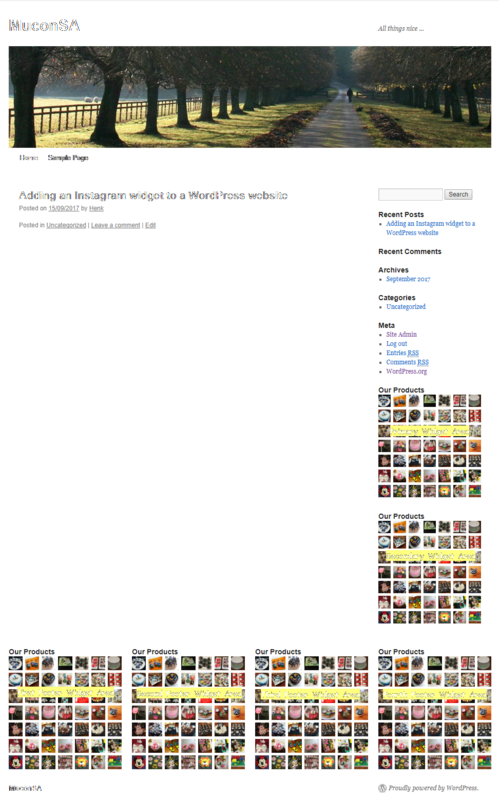 This is not seen as a WordPress widget and therefore has no Title included as in the pre-defined Widget Areas. 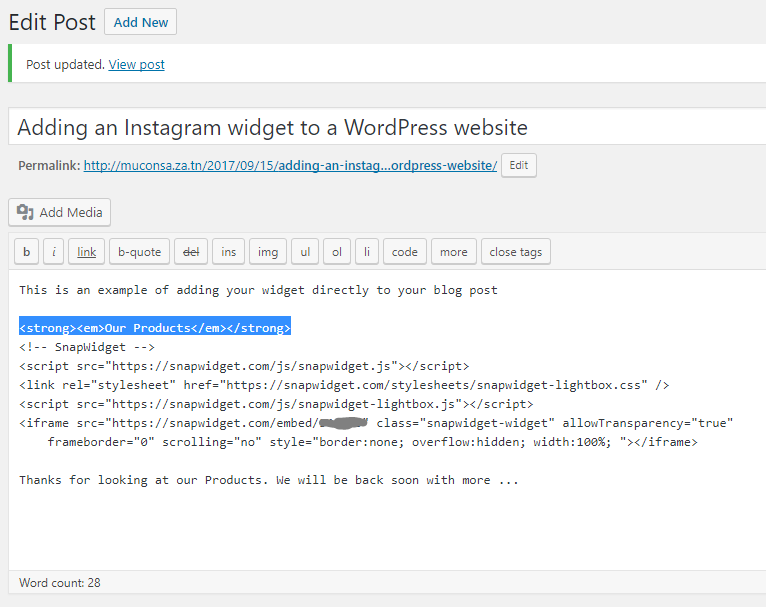 If you require a Title (or Header) for your widget, you can add this by using additional HTML tags in your snippet, e.g.